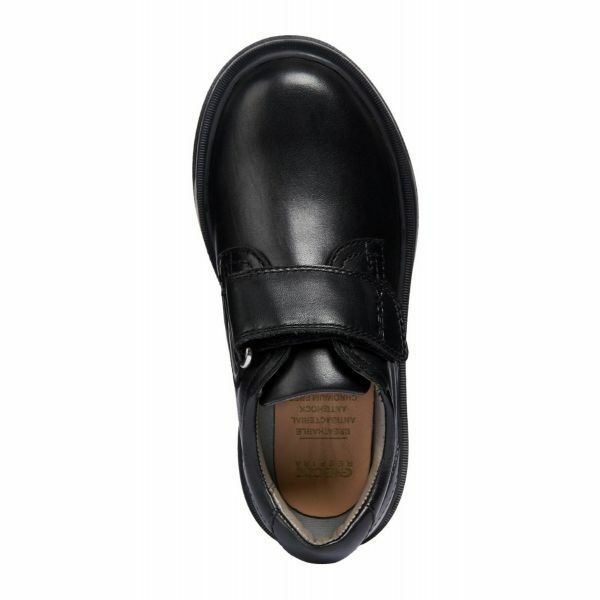 Breathable formal boy's school shoes in soft leather with a protected toe, that are perfect for children. 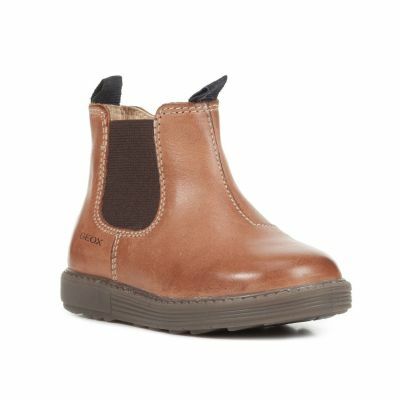 The sole of these Riddock Boy shoes come with the exclusive Geox patent that makes them extremely breathable and comfortable. 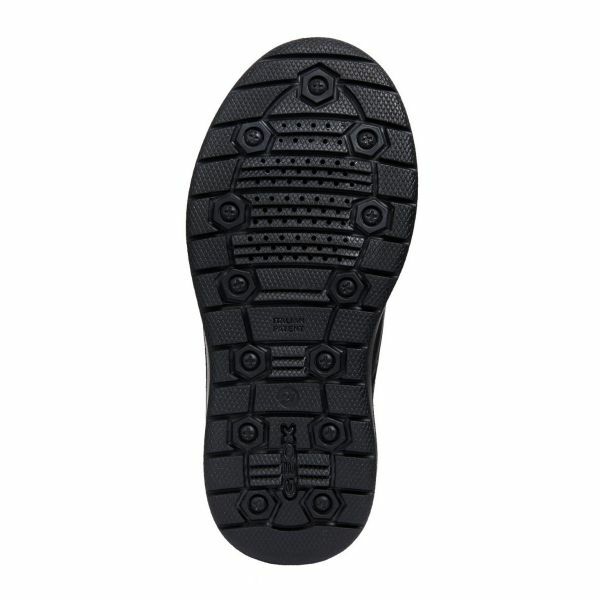 The antibacterial insole comes covered in non-toxic, chrome-free leather, leaving feet feeling dry at all times. 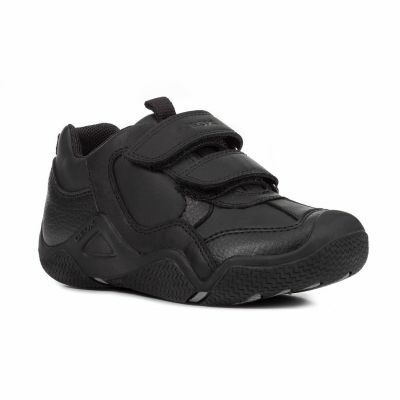 The soft black leather upper features a single strap that ensures they are easy to get on and allows the fit to be adjusted.